Today, the Internet Innovation Alliance (IIA) released a survey showing that consumers’ preferences for how they access the internet and how they use the internet have changed dramatically – and that these changes have accelerated over the past two years. Consumers now view fixed and mobile broadband service as essentially the same, and consumers use mobile broadband to perform bandwidth-intensive activities like streaming video and watching news and sports, as well as for important tasks such as doing homework and applying for jobs. These trends are common across different demographic groups of consumers; rural and urban, younger and older, and consumers of different races share similar preferences for internet access. Government regulation and reporting requirements should always reflect the realities of the marketplace to advance the needs of consumers. Based on details revealed through this extensive survey and additional data sources, the IIA calls upon the Federal Communications Commission (FCC) to update and modernize its approach to reporting to Congress on the deployment of advanced telecommunications capability in the United States. IIA commissioned an independent market research survey to determine the preferences of consumers and identify the types of activities consumers engage in when they go online. CivicScience, a leading independent polling and market research firm, designed and conducted a comprehensive, statistically-valid survey of at least 10,0000 consumers in the United States in June 2018, representative of the population by demography and geography. Consumers express no clear preference for how they access the internet. Almost as many consumers prefer to access the internet through mobile (23%) as through cable modems (26%), while 20% expressly state they have “no preference.” More consumers prefer to access the internet through their mobile devices than prefer the fixed broadband means of fiber and digital subscriber line (DSL) service combined. This trend toward having no preference is consistent across ages, races, residential areas, and income levels. Between 2015 and 2017, more than 20 million people switched to mobile-only internet access; the total number of wireless-only Americans jumped from 113 to 132 million. While this trend is common across demographic groups, it is particularly pronounced among younger adults: as of December 2017, over 53% of all U.S. adults were wireless-only, but over 75% of adults between the ages of 25-29 and over 73% of adults between 30-34 have adopted a wireless-only lifestyle. Among households with children, a majority are wireless-only in 40 States and D.C.
A clear majority of consumers now use mobile devices for “bandwidth and data-intensive applications” like streaming multimedia content – including watching news and sports, as well as streaming movies and television shows. Mobile devices now play an important role in completing homework assignments and applying for jobs. Nearly one in two U.S. households with children have used mobile devices to complete homework assignments in the past year. And one in four U.S. consumers have used mobile devices to apply for a job in the past year. As of 2018, 89% of U.S. households shifted to wireless and Internet Protocol voice service (VoIP) – up from the 81% reported at the time the FCC was gathering information for its 2016 Broadband Deployment Report. There are now approximately 291 million mobile broadband connections in the U.S., in comparison to roughly 112 million fixed broadband connections. Independent studies project that smartphone data traffic will exceed fixed broadband data traffic by nearly 8% in 2018.Add in tablets, and mobile data usage is expected to be nearly 50% greater than fixed broadband data usage. To keep pace with consumer demand, service providers have upgraded their networks so that mobile download speeds in the U.S. now average 23.5 MB – a jump of over 14% in just one year. Each year, the FCC is required to report to Congress on the deployment of “advanced telecommunications capability to All Americans.”In 2016, the FCC began reporting on the progress of mobile broadband deployment in its report.The agency, however, concluded at that time that fixed and mobile broadband services are not “functional substitutes” for one another,primarily because “American consumers do not treat the two services as functional substitutes.” When the Commission issued its 2018 Broadband Deployment Report, it reaffirmed that conclusion.But in reaffirming its 2016 conclusion, the FCC did not examine more current data about consumer preferences or attitudes towards mobile and fixed broadband services. Today’s CivicScience Consumer Preferences Report relies on the most up-to-date information available – detailed survey results obtained in June 2018. As such, the CivicScience Consumer Preference Report demonstrates that, in 2018, consumers perceive and use mobile and fixed broadband services in essentially the same way. Given these new data points, it is now time for the FCC to recognize that mobile and fixed broadband are “functional substitutes” for each other based on consumer behavior. “We believe the FCC’s existing approach to treating mobile is obsolete, and we believe it is time for the agency’s reporting requirements and systems to change, as well,” Boucher said. 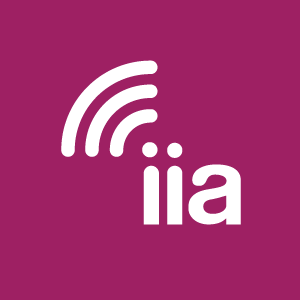 To review IIA’s white paper and the CivicScience Consumer Preferences Report, go to https://internetinnovation.org/special-reports/consumer-preferences-tilting-towards-mobile-broadband/. Axios, Mobile Data Consumption Will Soon Surpass Fixed Broadband(Jun. 16, 2017) (citing PriceWaterhouseCoopers Media and Entertainment Outlook). In citing the PWC study, Axios notes that smartphone data usage is projected to top 57.3 trillions of megabytes worldwide in 2018, compared to 53.2 trillions of megabytes in data usage by fixed broadband services. Tablet data usage is projected to exceed 21 trillions of megabytes in 2018. 47 U.S.C. § 1302(a). SeeInquiry Concerning Deployment of Advanced Telecommunications Capability to All Americans in a Reasonable and Timely Fashion, 2018 Broadband Deployment Report, 33 FCC Rd 1660, para. 2 (2018) (2018 Broadband Deployment Report). Inquiry Concerning the Deployment of Advanced Telecommunications Capability to All Americans in a Reasonable and Timely Fashion, and Possible Steps to Accelerate Such Deployment Pursuant to Section 706 of the Telecommunications Act of 1996, as Amended by the Broadband Data Improvement Act, 2016 Broadband Deployment Report, 31 FCC Rd 699, paras. 2, 20-24 (2016) (2016 Broadband Deployment Report). 2016 Broadband Deployment Reportat para. 24. 2018 Broadband Deployment Reportat para. 18.